Home MSP Company	Are You Dealing with Changes in Your MSP Company Like Obi-Wan Kenobi? 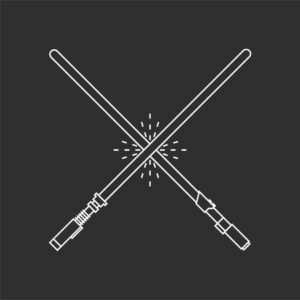 Are You Dealing with Changes in Your MSP Company Like Obi-Wan Kenobi? Change is inevitable, and your MSP company is not exempted. In a galaxy far far away, the Jedi Knight Obi-Wan Kenobi faced many changes that were painful, unwanted and unexpected. His Master Qui-Gon died at the hands of Darth Maul and left Obi-Wan a dying wish that he should train Anakin. He took Anakin to be his Padawan, but Anakin eventually turned to the dark side of the Force, eliminated the other Jedi, and became the Darth Vader we know. But how did he get through all those challenges? The same answer will help your IT business prepare you, the employees, and even your customers to manage well despite the discomfort that change brings. New organizational structure, change in management, downsizing, and introducing new processes and procedures are just some of the examples of changes a MSP company can go through. These changes have an enormous effect on your employees and clients. They could feel stressed, anxious, or doubtful of these changes which affect their work performance and the sales of the company. That is why you need to learn to listen to what they are saying and let them air out their concerns. Sometimes, it also takes an observation to know if there are differences in behavior or performance in your employees. Remember that most people will feel uneasy when they are forced out of their comfort zones and so expect some whenever there are changes in your IT organization. After feeling the pulse of the company with regards to the changes, make sure to openly communicate with your employees and clients and offer them solutions or reassurance for their concerns and doubts. Keep them well-informed by being transparent and ask them for inputs. Show your employees that their voice is valued and help them in the problems they encounter. For your clients, make it a point to keep them posted on any changes in your company and assure them by providing them the necessary data. An example of change clients resist is in terms of cloud computing. Many MSP employees have encountered issues with customers too rooted to make the switch or even acknowledge cloud computing’s presence. You have to sell the change and make your employees and clients see the relevance and benefits the change entails. Encourage them to be part of the change by asking them to share creative solutions to the management. Appreciate your employees’ efforts and help them ride the tides of changes. Training will greatly aid in the smooth transition of whatever change is within your business. When your employees are trained and skilled, there is less apprehension and tension with regards to change because they are secured of their role in it. Even though a legendary Jedi Master Obi-Wan Kenobi gifted in the ways of the Force, there are many changes he cannot foresee. Though many of these changes were terrible, it did not break his spirit and he continued his mission as a Jedi. Even after what happened to Anakin, he still took care of Anakin’s son, Luke and trained and guided him as a mentor. A MSP company can learn that sometimes change happens and may even be necessary for the big picture to play out. If you do not know how to deal with these changes, you will possibly lose your most important resource – your employees. Include them in the process of change and do not just expect them to accept and follow.